Looking for a new Acura for sale near Wallingford? 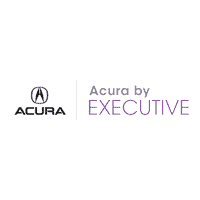 With over 85 new vehicles in stock, Acura by Executive has you covered. Find luxury and performance in a new Acura TLX with 290 hp or discover the new Acura SUV you’ve been searching for in our large selection of new Acura RDX and MDX models. If it’s sporty performance with excellent fuel economy you’re looking for, check out our selection of new Acura ILX models, or be on the cutting edge of technology in an Acura RLX Sport Hybrid. Once you’ve found the perfect new vehicle for you, contact us to schedule a visit to our showroom in North Haven near Hamden, CT. Lease as low as $299/month for 36 months! Plus tax, title, registration, conveyance(499) & dealer fees. Acq fee (595). Images are for illustrative purposes only. Lease offers subject to terms/conditions/approval of dealer primary lender. Special offers may not be combined with any other offer and are subject to change/termination without further notice. Auto. MSRP: $33,995. Residual: $17,677.40 36 months. $10,764 total monthly payments plus tax. $2,499 due at signing. $0 Sec. Dep., 10k miles per year. 20 cents/mile over mileage. Special financing with approved credit (limited terms). No substitutions & not valid on prior transactions. Not responsible for typographical errors. See dealer for details. Here at Acura by Executive, we understand that New Haven drivers lead busy lives and want a hassle-free car buying experience. That’s why you’ll always get our best price first with our Perfect Price Policy. When you choose us for your new Acura, we’ll not only save you time with our one price selling, we’ll also save you time on routine maintenance with our Acura Accelerated Services where you can be in and out within 30 minutes! Once you’ve browsed our inventory, visit us for a test drive in North Haven near Wallingford.